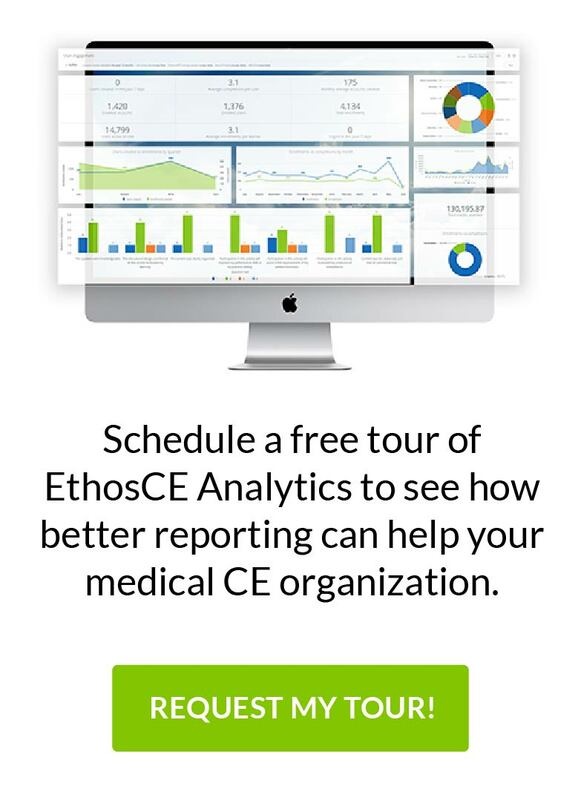 EthosCE has built-in capabilities for ACCME accredited providers to download PARS reports which can eventually be manually uploaded into ACCME PARS system. The course administrator can enter the fields related to activity, commercial support, income and expenses at a per course level. These values appear in the PARS report that can be downloaded at a course, academic or calendar year level. This add-on module is used to automatically report eligible learner credits that were earned in EthosCE to CE Broker system. We have successfully deployed this module for several of our customers. The module considers user demographic data and eligible credit criteria to report submissions. The learner can view the status of the reported credits reported. Any failed credits due to missing course fields or learner profile information will be queued for re-submission as soon as the the missing field(s) is/are updated by the administrator/learner. EthosCE provides an add on module for reporting ACPE credits earned by Pharmacists and Pharmacy Technician users directly to CPE Monitor site. Learners will be required to enter the NABP e-profile ID and DOB in their profile. Administrators must enter the UAN # for the course so that the data can be sent to CPE Monitor web service. The system has built-in rules to send credits based on the activity type and the guidelines set forth by the NABP. EthosCE has a powerful web service module that exposes the credits earned by learners in EthosCE to external systems. This data can be sent to accreditation boards based on the specifications set forth by the respective board. Our system has reported credits to ABIM (American Board of Internal Medicine). We are working on adding reporting capabilities to some of the other specialty boards. More than 75% of EthosCE implementations involve a Single Sign On (SSO) integration with association management systems (AMS), or other identity management systems. The SSO integration is used to ensure that the users are automatically logged into the LMS when they are logged into the primary authentication provider. The user profile updates can be uni or bidirectional based on the customer’s business workflows.